As part of celebrating Foglifter’s recent Pushcart nominees, we interviewed the writers! Here is Donika Kelly. Foglifter: What are you currently reading? 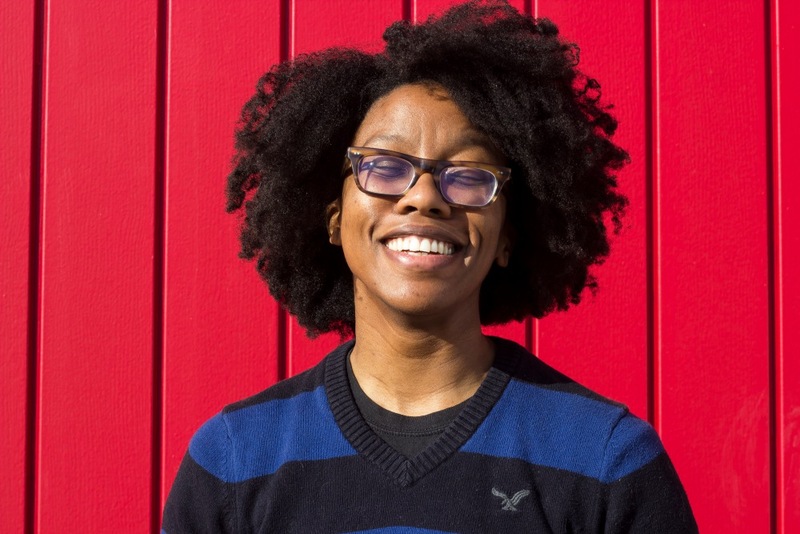 Donika Kelly: This spring, I’m teaching an intermediate poetry workshop, and I’ve decided to make that workshop and our readings pretty queer, which I think the students are going to enjoy. In preparation, I’m (re)reading Danez Smith’s Don’t Call Us Dead, Sibling Rivalry Press’s anthology Subject to Change: Trans Poetry & Conversation, Gabrielle Calvocoressi’s Rocket Fantastic, and one of my all time favorites, Anne Carson’s Autobiography of Red. One of the best things I can do for my students is to bring them into a larger conversation about identity, which we’re all struggling with to some degree. But also these books are so amazing and I can’t wait to talk about them with young folks. F: Why do you write? D: Writing is a part of my practice of being a person. I’m a fan of reframing and adjusting what’s at stake in making art, and so I say practice because a practice doesn’t have to be perfect. The drafts don’t even have to be legible as poems, but as movements that keep me in touch with what it means to make a poem. Writing makes me feel good, and also like I’m an alchemist, turning the abundant lead of the trauma of existing in this body, in this country, at this time into gold dust, you know? Which means, that my practice of being a person is the practice of transformation, getting in touch with our transformative powers and putting them to some good use. F: When you aren’t writing, what are you doing? D: When I’m not writing, I find myself teaching, playing with my little dogs, hanging out with my lady, rereading romance novels that I read in high school, and watching Brooklyn 99 and Steven Universe. My life is actually pretty low key, which I love. F: Most influential writers in your life? Why? D: I want to answer this in two ways. As a reader and writer, the most influential writers are and have been Natasha Trethewey (I teach Bellocq’s Ophelia every chance I get), Gwendolyn Brooks, Marie Howe, Sharon Olds, Audre Lorde, Claudia Rankine, and Maurice Manning. Each of these writers leans into the practice of being a person in a way that inspires me to try that in my work. As a practicing artist, the most influential writer in my life is Terrance Hayes, who has been a part of my creative life basically from the start. I met Terrance at the Bucknell Seminar for Younger Poets when I was twenty, and he…illuminated a path that I wasn’t even aware existed. Like, I didn’t even know what an MFA was when I met him, and he told me both that I should apply and not pay for it. Years later, I workshopped with him at the Cave Canem summer retreat a couple of times. And last summer, we kept running into each other in and around New York City. Terrance has said—or I’ve heard him say—that what he wants to do is write poems. He’s not interested in other genres at the moment. I dig that. That’s what I want to do, and hearing someone like Terrance say that makes it possible for me to imagine a future where that’s what I do: write poems. F: If someone told you that they want to be a writer, what advice would you give them? Read widely to know what you might want to read deeply. Then read deeply. Write a lot whenever possible. But like, don’t force it. Be a student—which means seek out opportunities to learn and work with people who are good teachers. I don’t necessarily mean take classes, although if you can afford to do so, I think that’s great. Books can teach us by showing us what’s possible if we pay attention. Be open to ideas that are outside your own. Don’t romanticize the tortured part of being a writer. If you’ve decided to do write, likely you’ve done so because you enjoy some aspect of the writing process or product. It’s cool to be into your own work. Celebrate it. I also want to say something here about not being in it for the money, but a) I’m a poet, so money is like lol, and b) I don’t know, people are grown and do what they want. F: What does queer mean to you? D: Queer means being awake, means being in the body, means apprehending what is around us, what means to wear us down, to grind us (if I can riff on Audre Lorde here) into dust. Queer means joy, means being in the body, means apprehending what is around us, and how we have managed to survive in love, in life. We are not dust. We are here. Donika Kelly is the author of BESTIARY (Graywolf 2016), winner of the 2015 Cave Canem Poetry Prize. A Cave Canem Graduate Fellow, she received her MFA in Writing from the Michener Center for Writers and a Ph.D. in English from Vanderbilt University. She is an Assistant Professor at St. Bonaventure University.